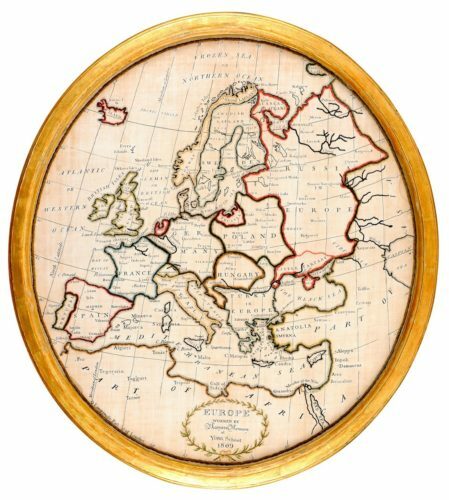 Embroidered Quaker map sampler worked by Margaret Mennsey at York School 1809 . In fine original condition. Outstanding mid 17th century band sampler, in fine condition retaining its original colour. English circa 1660. 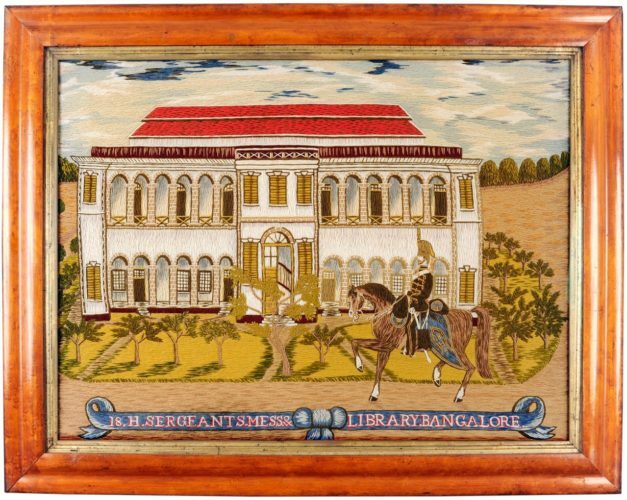 Rare 19th century wool work picture depicting a mounted Hussar outside the Sergeants Mess and Library at Bangalore, India. English. Circa 1870. 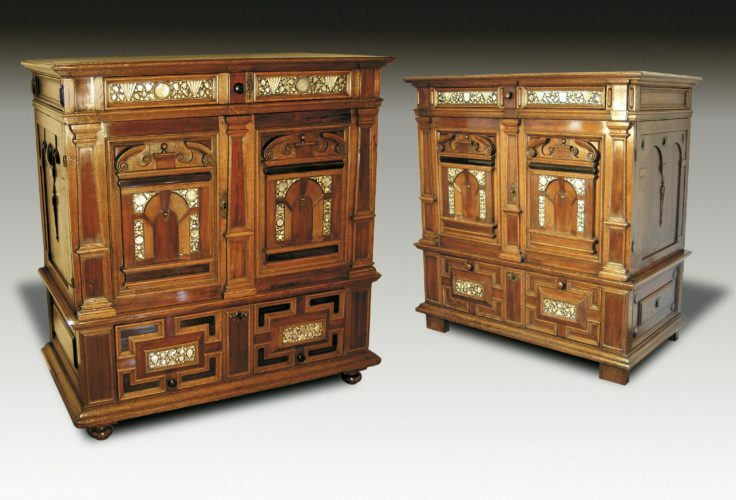 Historic embroidered textiles, furniture and works of art.